We are a print, fulfilllment and digital solutions provider. We offer print on demand, storage, fulfillment, offset print, large format, mailings and e-commerce. We have over 140,000 sq. ft. available to store and fulfill your needs. At Pacful, Inc. we have taken the time to build a solid foundation of services for our customers. With our experienced team of professionals whose experience range from trade show banners, e-commerce sites, on-line ordering of products and materials, immediate tracking and status of orders, fulfillment of orders, personalized 1-to-1 marketing campaigns, printed materials, and storage of materials, we will do the job. 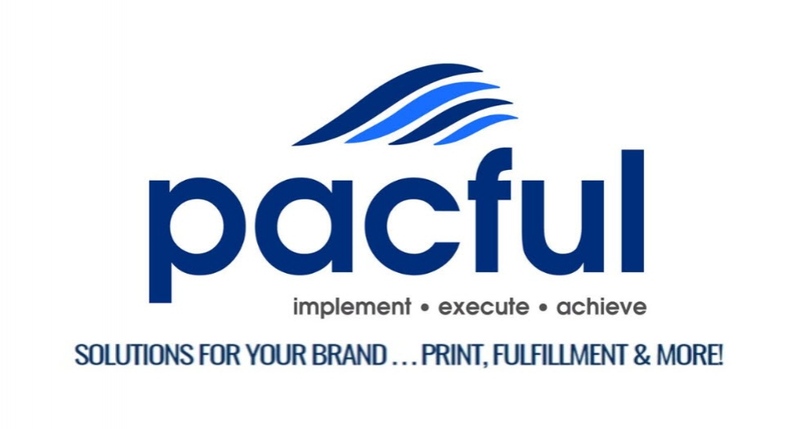 Pacful, Inc. was built for "just-in- time" every time. Our team of professionals has extensive experience in understanding our client's needs. If it is a basic print project or complex marketing campaign, our goal is to provide the highest quality product and focus on getting the most value for our client's investment. Always know that Pacful has you covered!